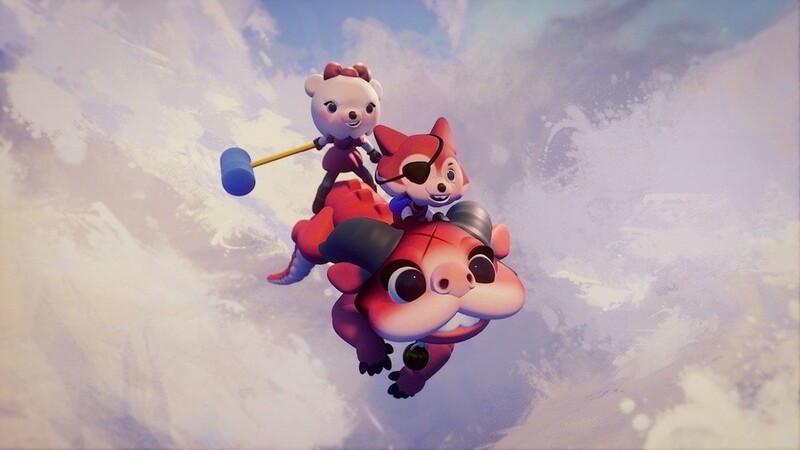 The creator beta test for Dreams ended just over a month ago, and it was by and large a big success for the ambitious Media Molecule project. Since then, we've had the news that the game will be launching in Early Access soon, so it won't be long before even more people can get to grips with it. 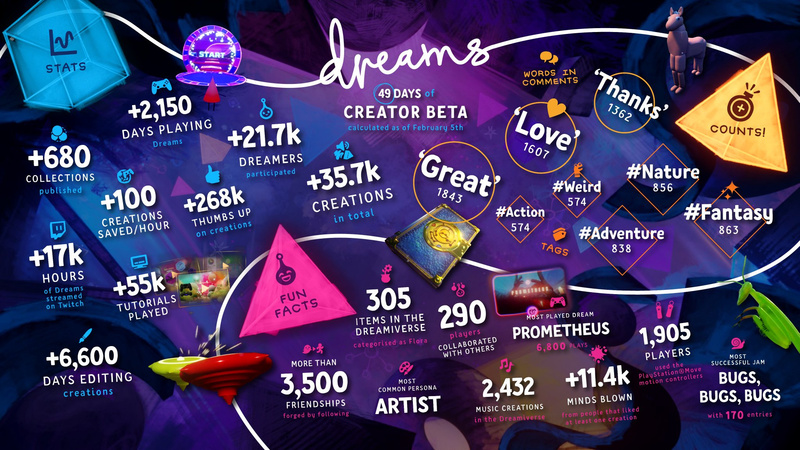 The studio revealed that over 15,000 creations were published within the beta, but in a new infographic released today, the total number of things made in Dreams is more than double, at roughly 35,700 individual items. The image has a lot of information to dig through; 21,700 people took part in the beta (although this author wasn't one of them), spending 6,600 days editing their creations and 2,150 days playing them. The most popular Dream was 'Prometheus', which was played 6,800 times. One interesting fact is that just 1,905 participants used PlayStation Move controllers, about 9 per cent of players. It just goes to show that the DualShock 4 is more than capable of building impressive works in Dreams. 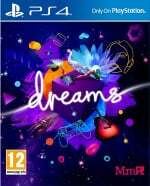 Did you take part in the Dreams beta? Do any of these facts and figures surprise you? Make your dreams come true in the comments below. I made zero, but I enjoyed browsing and voting on what everyone else contributed. There were some very impressive designs on show...everything from fully designed mechs and massive landscapes to full blown games. I’ll be getting Dreams just to see what people come up with when they have more than a week to work with the tools available. I signed up twice for a code and nothing ...would have loved to try this out. Definitely spent more time dream surfing than actually making anything but I didn't have nearly as much time as I'd hoped to get my head around all the tools. I had a few problems with getting the dualshock controller to do what I wanted when I did try and make something so was definitely a learning curve to it. Can't wait for the full release though to see if I can do better.